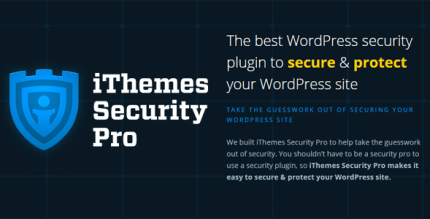 iThemes Security – a security plugin, which is a must for any modern WordPress website. The plugin has an incredible number of settings and understandable, step-by-step management. It is regularly updated to reflect current security trends. BackupBuddy – an advanced backup plugin with great features. The latest versions of iThemes Security (Pro-version) and BackupBuddy are available round-the-clock on our website.